So, you already know that being in a relationship with a narcissist for any significant amount of time can seriously mess with your world. Not only can it completely change your personality, cause you to sort of “drop out” of your own life and generally make you miserable, even for years after the fact, but the stress of it all can cause you some pretty serious physical effects as well. During my training at Universal Coach Institute, Coach Ayisha Amatullah taught me some new techniques that I’ve shared with clients in my coaching practice – many have reported that they’re helpful, and I’ve personally used one of them in my own narcissistic abuse recovery process. The techniques are NLP and EFT. 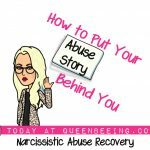 Before I explain how you use them in your personal recovery after narcissistic abuse, let me explain what they are. NLP is neurolinguistic programming. So what does that mean? Well, there are three main components that create the human experience: neurology, language and programming. So, our neurological system regulates our basic bodily functions, while our language determines how we interact with the people around us. And then our programming is what helps us to perceive the wold – it determines literally what we experience in our lives. So, NLP, or Neuro-Linguistic Programming, basically means using the fundamental dynamics between your mind (neuro) and language (linguistic) and how the combination of those two things affects our body and behavior (programming). In other words, to use NLP for personal change is to intentionally choose to change your thought patterns and processes in order to achieve the life you really want – and not more of what you don’t. I have personally used NLP to facilitate literally every positive change I’ve ever made in my life, no joke. Mercola has a great video library that shows all kinds of EFT techniques you can try. It’s all about getting through those emotional roadblocks that stop us from healing ourselves after the pain of narcissistic abuse. So, how do you use these two things to assist you in recovering from the toxic abuse you experienced in your relationship with a narcissist? Let’s start here. We’ve all got our own unique stress patterns. No two people will react the same way in a situation that’s stressful, right? So what do you do when something unexpected or upsetting happens in your life? Do you look for the bright side, or are you more likely to chalk it up to Murphy’s Luck? If you have a tendency to react to a stressful situation by over generalizing, spouting out little gems like “this always happens” or “I can’t ever get anything right,” then that’s your stress pattern. So, here’s the bad news. The bad news is that stress is a given in life – and this will be the case whether or not you’re still involved with your narcissist. I’m not trying to wish bad things on you, but it’s just part of life – and the fact is that if you haven’t had any stress within the last few days, just wait. It’s on the way. Even if you do your utmost to avoid stress, there will always be someone else that intersects with your life that will bring you stress. But hey, there’s also GOOD news! The good news is that you can change the way that you approach stress – specifically by taking your current outlook about stress and giving it a totally new perspective. In other words, change your mind to change your life. The stress and anxiety you deal with as someone who has experienced mental and emotional abuse at the hands of a narcissist puts you under a dangerous amount of pressure that can harm you mentally and even physically. When any kind of stress hits, a lot of different things start to go on inside of your body. You can’t see it, but you can feel it – and if you’re dealing with a narcissist, you feel it even if you’re in the same room with them, let alone if you have to communicate. So how does it affect you? You get an automatic rise in blood pressure from the heightened emotional state. Your heart rate goes up. Long term, these two combined can affect your heart health. The changes within your body cause your immune system to weaken. You’ll get sick easier. Stress can weigh so heavily on your mind that anxiety builds. You get knots in your stomach and you start to lose sleep because you just can’t rest when the pressure of stress has you in its grip. So how do you get rid of stress and anxiety as you work on your abuse recovery? Since you can’t avoid anxiety, the next best thing is to render it powerless. You can do this by breaking the behavioral thought patterns that you’ve always used to deal with it. Read this next part slowly: Stress only has as much power and as much control over your life as you allow it to have. The same goes for anxiety. Unfortunately, many people allow stress and anxiety to have a free reign, and this is especially true when you’re dealing with a narcissist – the stress becomes a sort of norm in your life – you can even become addicted to it. Okay, then how do you know what your particular brand of stress pattern is? Consider this example, in which two people experience the same stressful situation. One person very calmly deals with whatever the stress is. The other person over generalizes and often begins to believe that more stress is on the way. The stress seems like so much of a big deal than it does with the other person. Does this mean that one person is a better person than the other? Of course not. What it means is that one person has learned how to take away the power that the narcissist’s abuse still wields over him or her, while the other still needs to work on evolving a bit. So many times, when stress hits, your biggest enemy is your own perception – how you see what’s happening in your life. You can think yourself into a much worse state of mind about whatever it is that’s going on – and conversely, you can think yourself into a much better way of living, if you want to do so. Stress and anxiety, along with various other PTSD-related symptoms, can become bigger and feel more insurmountable the more that you allow them to overwhelm you. And, despite what anyone would have you believe, you’re not doing it for pity or on purpose – no, this isn’t something that anyone does because they want to feel bad or because they like the negativity associated with stress. It’s simply a learned stress pattern. But make no mistake about it – anxiety and stress, combined with narcissistic abuse, does carry quite a punch. It has enormous power that can seemingly grow. So, let’s talk about stress real fast. You might be shocked to learn that stress actually isn’t a “thing,” rather, it’s how you react or respond to whatever it is that upsets you. Your response is what gives stress power. To make it go away, you have to neutralize it. So how do you do that? Well, I guess if you read enough magazine articles and enough books that talk about stress, you’ll see a lot of advice. You might read suggestions about going for a walk when the stress hits or removing yourself from the person or the problem that’s causing you the stress. How about some real help? While that’s a good idea in theory, it’s only a temporary fix. Sort of like putting a bandage on a hole in the wall of the Hoover Dam after it sprung a leak. You can bet that bandage isn’t going to be able to withstand the force of the water because the force is stronger. That’s the same way it is with stress. It’s stronger than simply walking away from it. It will just wait to pounce again. But you don’t have to live in a state of stress. You can end the way that anxiety grips your life. It’s all done through a process called reframing. What Does It Mean to Reframe Stress? Reframing stress is taking the way that you normally view the stressful situation and looking at it differently. You stop seeing only the negativity or the difficulty that the stress brought into your life. Instead, you start to see the stressful situation as something that can actually benefit you. Stress can cause you to grow emotionally and can give you wisdom as you reflect back on what happened. Basically, reframing stress means to look at it with a different point of view. You don’t look at it as something terrible that happened or something that you wish that you could never have encountered. By reframing whatever it was that happened, you can find the good in the situation. What this does is to allow you to put negative things into perspective – especially if you have had a lot of negative events go on in your life. So reframing is something you can use now to deal with stress as well as a way that you can find peace about past stressful things. How does reframing help anything? When you reframe how you interpret something stressful, you effectively take away the power of stress. By doing this, you don’t carry around that pressure any longer. Plus, you’ll feel peace even if your situation isn’t peaceful at all. In other words, stress can rage all around you and you can still be in the thick of it, but you’ll not only be calm, you’ll feel calm inside, too. Because stress causes reactions within the body, you want to learn how to deal with it and prevent that from being an ongoing thing your body has to deal with. Once you learn how to reframe, you’ll be able to stop your body from feeling the effects of stress. Everyone has an automatic response to stress and you can’t shut that automatic response off. This is a gift – a safety measure that people are born with to help keep them alive. Whenever you think you’re threatened by a situation – even if you only feel that way – your body will kick in with its response. This is your flight or fight mechanism going to bat to keep you safe. It’s preparing you to either get ready to defend yourself or to run away from whatever the stress is. Stress, even if it’s not a big stress, can cause this reaction inside of your body. You’ll get that same response from your body if someone cuts you off in traffic as you will if your car were to catch fire. That’s because your body doesn’t divide stress into levels of stress. It’s all the same to your body’s response system. Since keeping this system hyped up isn’t good for you, you have to learn how to handle the little stresses as well as the ones that make you feel as if the bottom dropped out of your world. You must take certain steps to put the stress in your life – as well as any future stress – in the right perspective. First, you have to learn how you’re feeding the stress. You may not even be aware of all of the ways that you contribute to this. Stress can be a tiny seed, but if your thinking patterns are wrong, you can grow that tiny seed into something that will tower over you. In the end, the stress can turn out to be a much bigger deal than it actually was in the beginning. This is what happens because of your filter. You filter all of the stressful situations through your stress pattern sifter. You can have a stress pattern of seeing only bad things that happen – and the good things go unheeded or receive only a passing thought, if that. For example, you may experience a dozen good, positive things in your life in the space of a day. But instead of stopping to think about those, you only think about the stressor that really made you angry or upset you. So you must first acknowledge the way that you think about stress. You have to learn how it is that you process stress with your stress patterns and there are tools that can help you learn this. One of the things that can feed anxiety is negativity. Don’t Forget! You Bring About What You Think About! Positive thinking makes anxiety shrivel. So what you want to do is to pay attention to what your mind is dwelling on. When a stressful event occurs, tune in to how your mind deals with the stress associated with the event. If you start to notice that you think negative or cynical thoughts about the situation, you have to take control of those thoughts to stop the stress from building. For example, if you didn’t get the promotion that you wanted at work, you might experience negative thoughts. Thinking, “I really wanted that promotion. I deserved it,” isn’t unhealthy and it’s a natural reaction. However, thinking, “I knew it. I always have bad luck in my life” isn’t a healthy reaction to anxiety. Not only that, but what it does is build the stress. One negative reaction can give strength to the next stressful event until it builds and your stress pattern is a knee-jerk negative response. It’s not enough to take control of the negative thoughts. You have to evict these thoughts and allow positive thoughts to move in. This doesn’t mean that the stressful events in your life are going to be good. It only means that you can, once you learn how, see them for the good that they can bring. For example, the person who didn’t get that promotion he wanted may use that as a stepping stone to leave a job where his talents aren’t appreciated and move on to one where they are. So what was a negative became a positive. It’s all in the way that you reframe what occurred. Some people call this the “silver lining” – it’s the one good thing that comes from a bad situation. Like I said, NLP stands for neuro-linguistic programming ,and it’s a useful but simple technique that can enable people to learn how to change their perceptions. When it comes to dealing with stress, NLP can help you learn how to change your previously learned stress perception. Your mind processes what you see and hear, think and feel. If you see a snake and hear the hiss of one, your brain’s response will simply be “a snake.” If you think that all snakes are venomous and that you’re surely going to get struck by one and be in excruciating pain, your brain will process that, too. If you feel a lot of fear toward snakes, your brain adds that in. Are you in any immediate danger from the snake if it’s six feet away from you? No, but your stress pattern about snakes says you are and it contributes to how you feel. This, in turn, caused a more forceful response from your brain and the fight or flight response kicked in. It didn’t matter that the snake was too far from you to harm you or even that it could have been a garden snake. What matters is that the stress came on strong because you perceived that it was a stressful situation. Your reaction is tied to your perception. This is the way that it is with all stress. Okay, so what do you do to fix it? You have to change the perception if you want to change the reaction. By learning how NLP works, you will learn how to implement the changes that you need to deal with stress. It teaches users how to break free from old stress patterns and create healthy ones. One of the ways that NLP helps you deal with stress is by giving you a look at someone else who has been there and done that. It’s a great study of how others have successfully managed in various areas of life including handling stress. It shows you various events that cause stress and what the response can be by giving you a look at how others have handled that situation. This helps because you learn that you’re not alone in the stress – but it also helps because you get to see how there’s not just your stress pattern to use. You learn techniques to change stress perceptions that set you free from old stress patterns. How you approach stress can be successfully altered by neuro-linguistic programming. There are dozens of great programs that walk you through the concept. EFT (or Emotional Freedom Technique) can help you find peace and experience calm. People like EFT because it’s proactive, noninvasive and fast acting with long lasting results. Plus, you can do it yourself from anywhere once you get to know how to do it. Since you can’t eliminate the hassles of life, you have to learn a way to deal with them so that you don’t live in a state of chronic stress. Studies have shown that some physical ailments are linked to the negative emotions associated with stress. So you get sick from stress and then you get stressed about that. Stress destroys your peace and calm when it comes to any area of your life that causes you to have anxiety. You have to break the stress cycle to achieve the harmony you want to find. By learning EFT, you can stop the emotional and mental link that disrupts your peace and calm. This energy psychology works similar to the way that acupuncture works. Except with EFT, you won’t be using needles or any other invasive method. You simply use tapping to release your body’s natural healing energy. When you do learn the steps, you can begin to restore your inner peace. So how do you do EFT? The method is based on a technique that teaches you how use the tips of the fingers to tap on certain points on the body. For example, the face has six tapping points. It has the top of the head, the eyebrows, sides of the eyes, under the eyes, under the nose and the chin. By tapping these and other points, the user releases the healing ability. Unlike some practices, which tell people not to think about whatever is causing the disruption to their peace and calm, EFT has people deliberately look at whatever is causing them emotional or psychological trouble. The tapping releases the kinetic energy and can heal often buried stressors from causing you to lose your inner peace and calm. To get started, you first have to identify whatever it is that’s troubling you and you’ll rank it on a scale of 1 to 10 – with 10 being the highest. You would then work through each of the energy points on your body while saying your affirmative phrase. By the time that you’re finished, the rating for your problem will have dropped significantly. We already know that stress causes physical symptoms – and it wreaks havoc on your mind non-stop. And we know that, whether you’re currently in a toxic relationship or you’ve left one, you’re carrying around far more of a burden than probably anyone in your life knows, so if you’re going to get through this and find yourself happy again, you’ve got to start giving yourself a chance to strengthen yourself against harmful thoughts and reactions – and these techniques offer two places to start. Need more help? 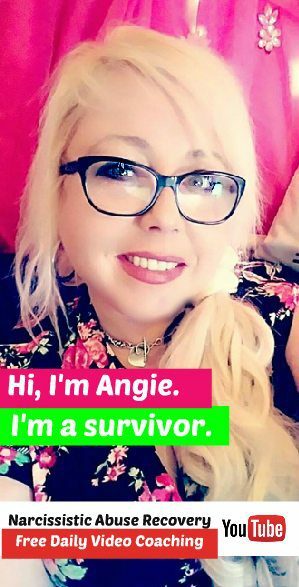 Check out my Narcissistic Abuse Recovery Suppport Center – packed with free resources to help you take back your life and become the person you truly want to be. You might also enjoy my books, found at BooksAngieWrote.com. Your turn – what do you think? 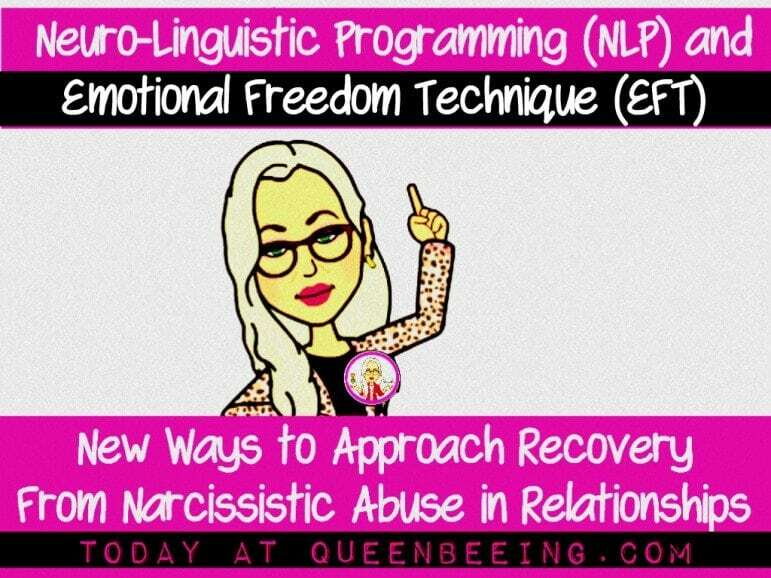 Have you used NLP or EFT before? Would you use it now? Please share your thoughts and experiences in the comments. Let’s discuss it.